“A splendid little war" - that’s how one contemporary observer described the Spanish-American War, a war that is arguably one of the most important wars ever fought. The duration was short and the victory decisive, thus little and splendid, the latter at least from the victor’s point of view. The impacts of the war, however, were anything but little. In fact, the aftermath of the Spanish-American War is still affecting global affairs today. The dominant superpowers of 1898 watched as a new player on the international scene, the US, shifted its ideology from isolationism to expansionism and emerged as a force to reckoned with, a true superpower. The result was a series of bloody battles fought in both the Caribbean and the Pacific over Spanish territorial holdings. This audiobook takes the listener on a journey from what set the stage for war to the aftermaths that continue to impact each of the players in the present day. 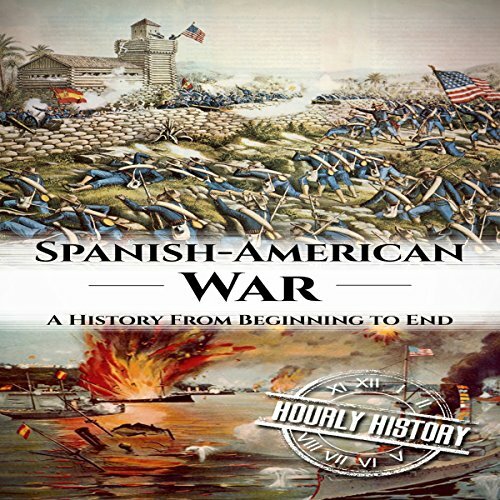 From the explosion that sank the USS Maine to the recent détente in Cuban-American relations, this audiobook describes the events and their consequences in a thorough yet concise manner that is enjoyable to listen to and packed with historical information.